A guest post from Suz Korb about her new project. The twist is that this book hasn’t been written yet. I’m going to write it live on Patreon. I’ve written a novel live before, chapter by chapter, on my blog. And now I’m doing it again with Flutterby Girl! 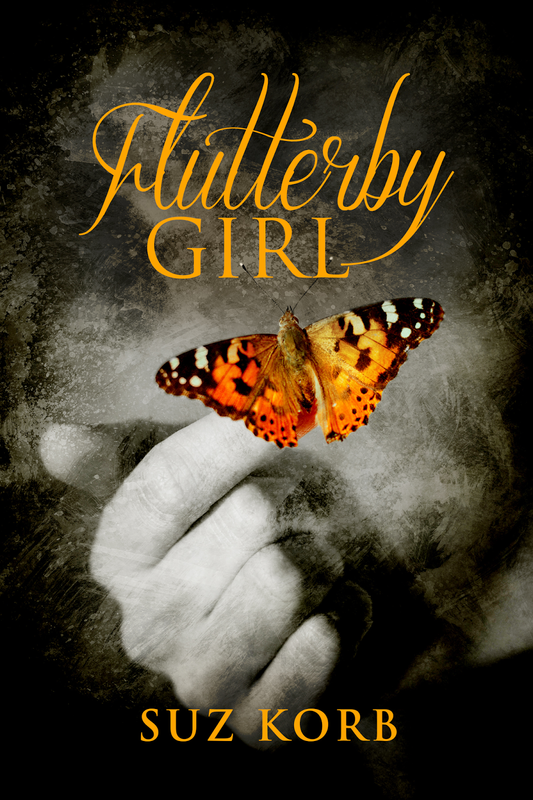 I got the idea for Flutterby Girl, then I thought up a title, then I got the cover, and now I’m writing the story. It will go up on Patreon chapter by chapter, daily. You can read each chapter if you become my patron. I’m new at Patreon, so if problems arise I hope I can deal with them quick! It should be easy enough though. I’ve decided to write my two most recent books live because it pushes me, and it makes my imagination flow more deeply.